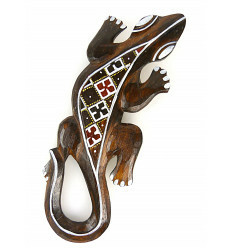 Small gecko lizard wood wall cheap, decor, DIY exotic. 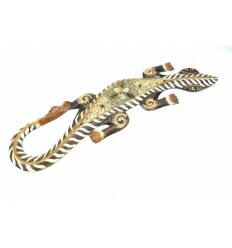 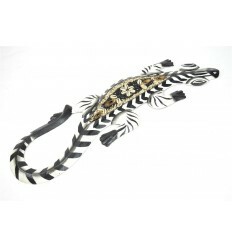 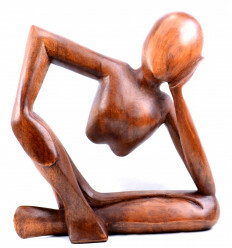 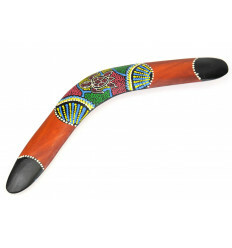 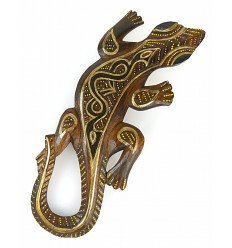 > Ethnic decoration>Wall decoration>Wall sculptures>Decor wall Gecko 10cm of exotic wood, for wall decorations DIY. 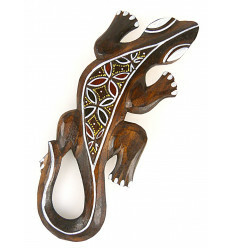 Decor wall Gecko 10cm of exotic wood, for wall decorations DIY. 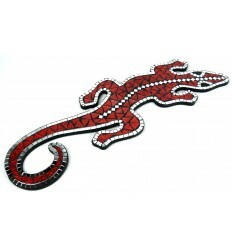 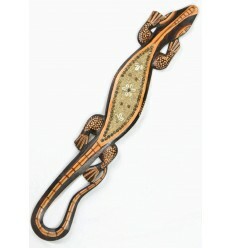 Gecko (also known as lizard, margouillat, or salamander) wall of exotic wood, hand carved. 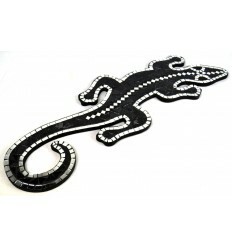 A decorative object to hang on the wall or on any media that you want to customize. 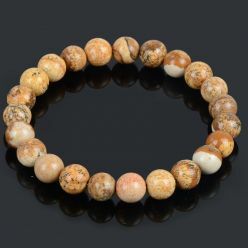 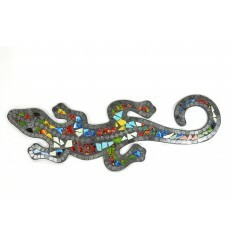 Dimensions : 10 x 6 x 0.5 cm approximately. 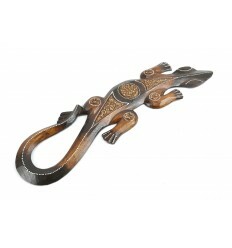 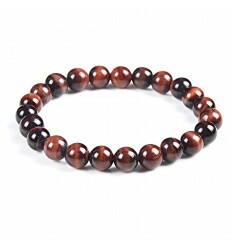 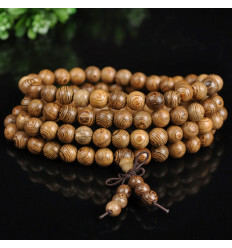 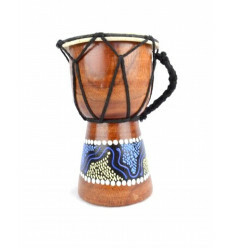 Material : wood suar solid. 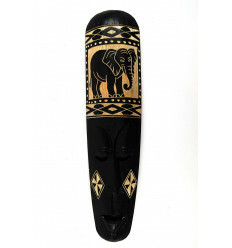 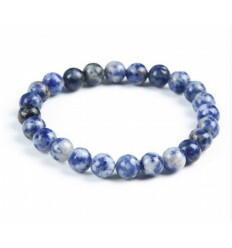 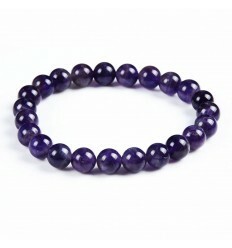 Other models available in our online store. 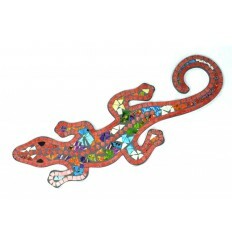 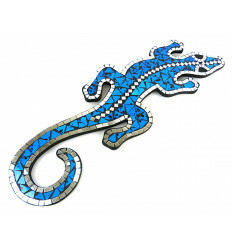 By combining several geckos of different colours and sizes, you can make a lovely wall frieze more true than nature ! 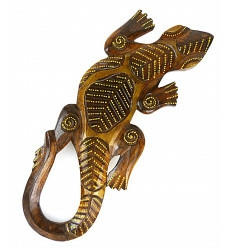 Fans of DIY will no doubt find 1001 other ways to use this object to create a deco custom. 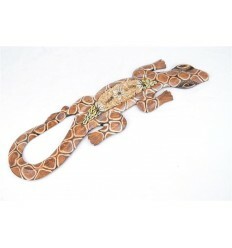 Coco-Papaya practice a trade fair and respectful of the planet. 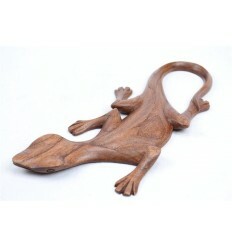 The wood used for the manufacture of this Gecko has been collected from planted forests. 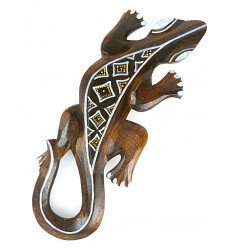 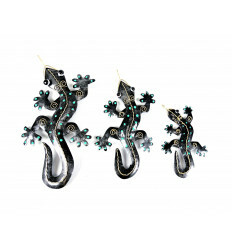 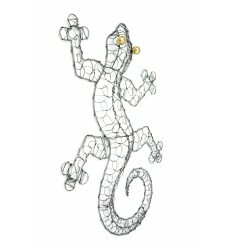 It is said that the gecko is a good luck charm because it feeds primarily on insects pests such as mosquitoes ! 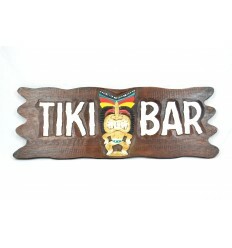 Large plaque / sign wooden "Tiki Bar" homemade. 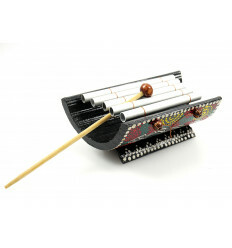 Mini xylophone bamboo and metal - craftsmanship. 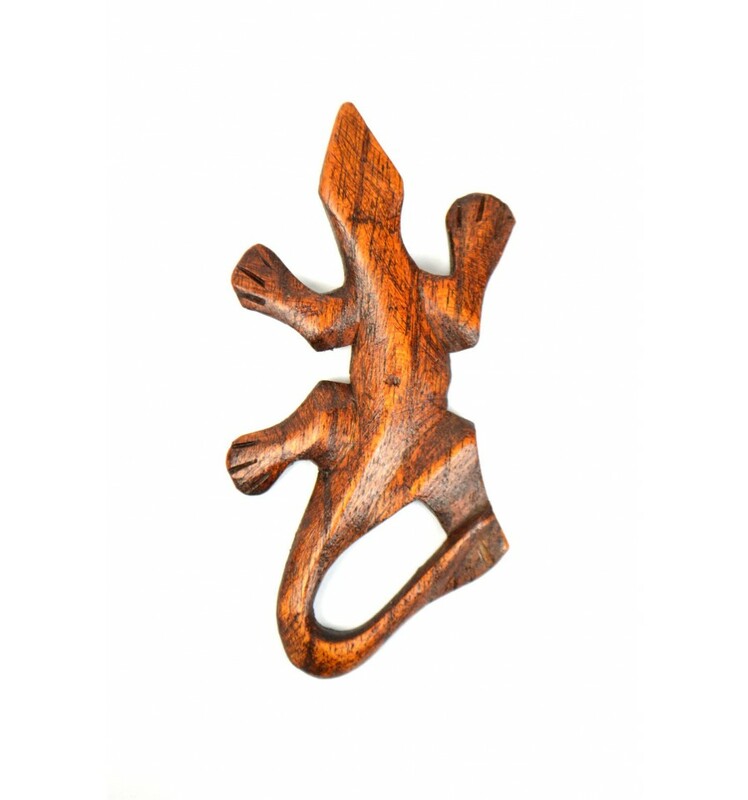 Door bottle shape Hand. 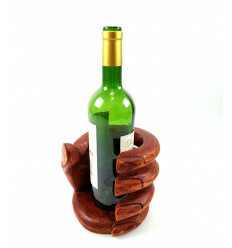 Display bottle of wine wooden.